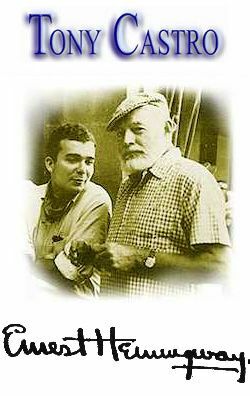 For me, too, as a child of the 1950s who read The Old Man and The Sea thinking I was the boy Manolin, I suppose I have been looking for Hemingway all my life, and perhaps it seems fitting that I think I have found him at an age when I now see myself in the old man Santiago. Looking for Hemingway about Hemingway at that age we all dread of being: Old, losing our train of thought, unable to do what once came so easily, too quick to show our frustration at our slowness but still holding on to the hope of one last glimmer of youth. And it is not an easy age to face, especially for publishers. More than a few just flat out said they didn’t think any readers, especially Hemingway fans, wanted to read about him as an old man, pathetic at times, feeble and paranoid. American expatriates thought by many to have been drunkenly decadent, wildly self-indulgent, and irretrievably ruined. It was the cultural backdrop for his breakthrough novel The Sun Also Rises, published in 1926. And it’s a theme not that dissimilar from what emerged in the months of Hemingway’s 1959 visit to Spain. Ernest chased young women as unashamedly in 1959 as he had pursued the beautiful and recently divorced British socialite Lady Duff Twysden in 1925, being as insensitive to Mary as he had been his first wife Hadley back in the mid-1920s. And Hemingway in 1959 behaved almost as badly as he and his entourage did back in 1925. But there were other similarities. A writer who visited the Davis villa in Spain in 1959 said Bill and Annie Davis were “the Gerald Murphys of the fifties, transferred to the new high bohemian playground of the Gold Coast of Spain.” The Gerald Murphys were a wealthy American expatriate couple known for their own lavish soirees on the French Riviera where they entertained writers and artists of The Lost Generation in the 1920s. And this was the exact kind of setting surrounding Hemingway in Spain in 1959. Of course, there were countless interviews with my friend Teo Davis, son of Bill and Anne. But there was a matter also tracking down memoirs, unpublished and published, letters, journals and books, particularly some in Spain. This period of Hemingway’s life was never written about in any depth by anyone but instead it was finding bits and pieces in various sources, mostly in Spain and Paris where the Davises had homes. I was also incredibly fortunate while I was a columnist at the Los Angeles Herald Examiner of being a desk mate to the late Jim Bacon, who was perhaps the most famous print journalist who ever covered Hollywood. He knew a number of people in Hollywood who had known Hemingway and the Davises, people like Lauren Bacall and Orson Welles. Even in the 1980s, I was playing around with the idea of a book about Hemingway in Spain, the Ms Bacall and Mr. Welles were gracious in providing me with their insights.